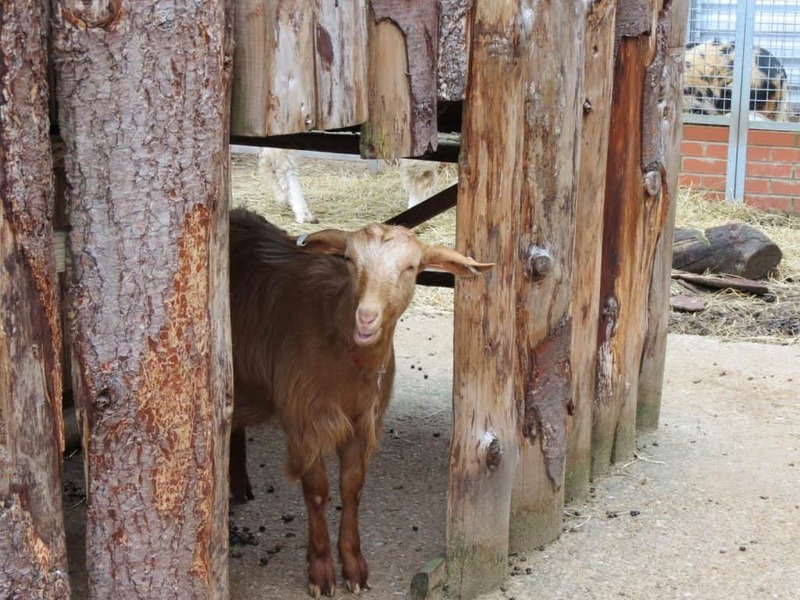 Welcome to another urban farm and history lesson from the wilds south of the Thames! 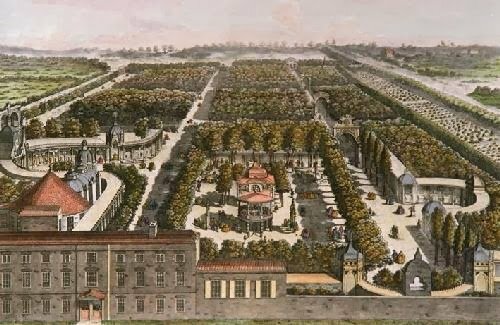 Vauxhall was once home to a hugely popular “pleasure garden,” a highly manicured area open for public entertainments like parties, art exhibitions, music, and once a place to see and be seen. Samuel Pepys wrote of his visits there in the 1660s, it was a major society hub during the Regency, and remained popular straight up through the time of Charles Dickens. Many of the important ideas about modern mass entertainment, from concessions to crowd controls, to security, were first pioneered in this space. 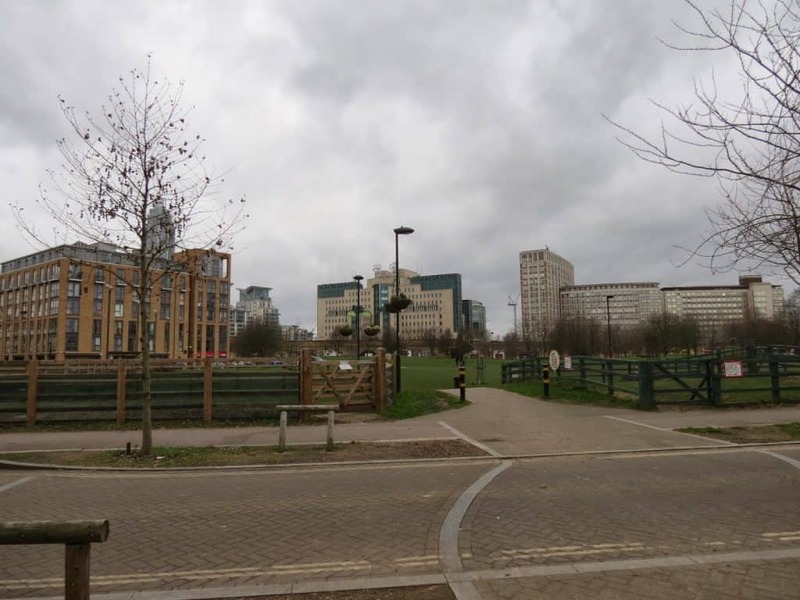 Like many areas, Vauxhall fell into a bit of a decline and then was heavily damaged by bombing in World War II. Many people don’t realize this but recovery from the German blitz took decades. Many of the housing and urban planning issues facing the city today stem directly from the fact that so much housing was lost, hastily rebuilt, and unevenly managed during and after the war. It’s also a contributing factor to why many areas declined so drastically in the second half of the 20th century. 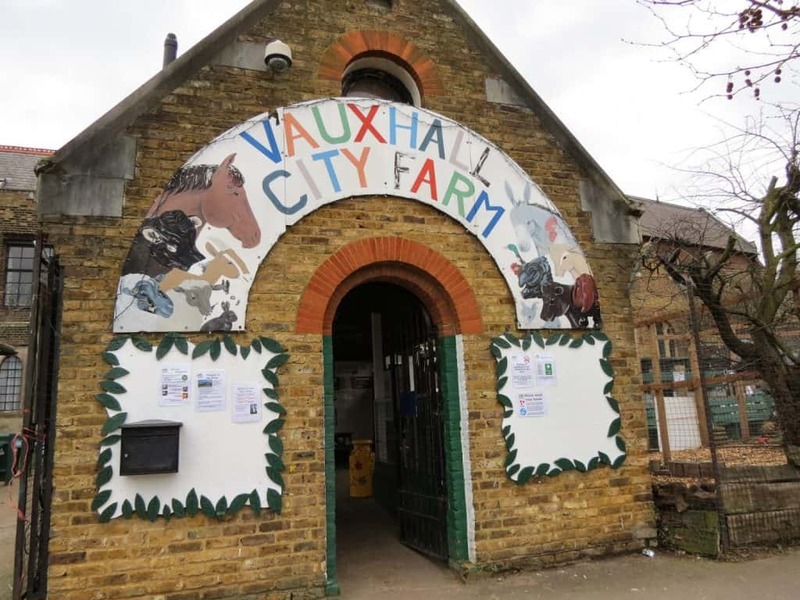 Vauxhall was one of these in the 1970s when a group of squatters, who happened to be architects, organized the first farm on the mostly derelict site, named Jubilee City Farm. 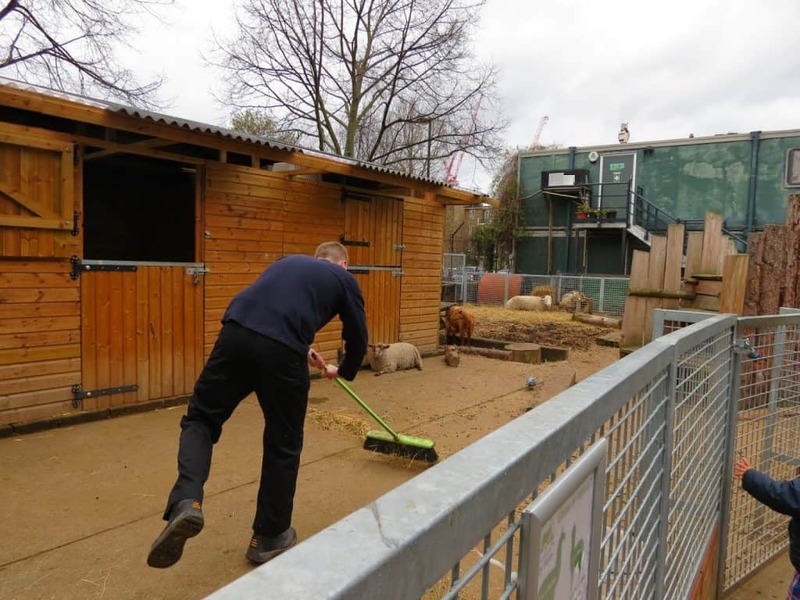 Today, Vauxhall City Farm is one of the largest urban farms in London. In addition to a wide variety of larger farm breeds, they also house a “small animals stable,” birds currently being acclimated for a small aviary opening soon, several land and water fowl, and several breeds of rabbits. You may remember the goats from my excursion to the Southbank Centre. 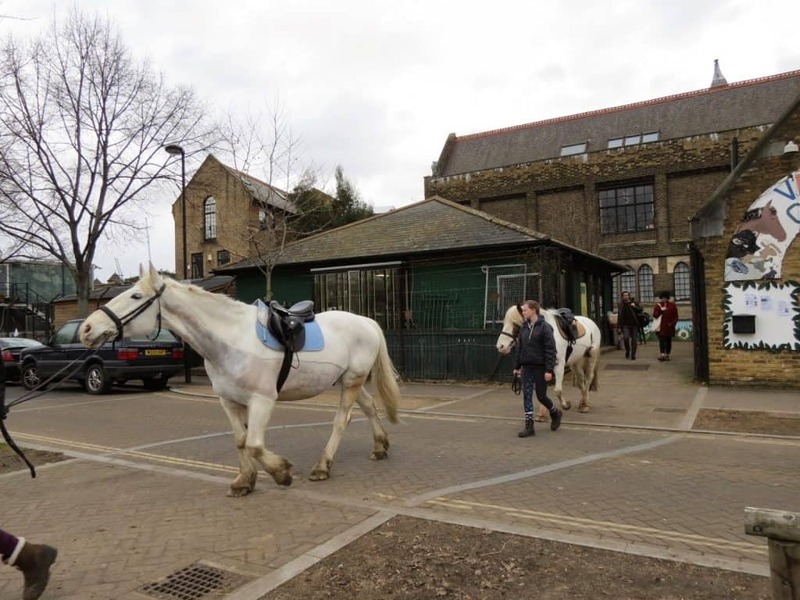 But Vauxhall City Farm is most famous for their therapeutic and educational equestrian program. 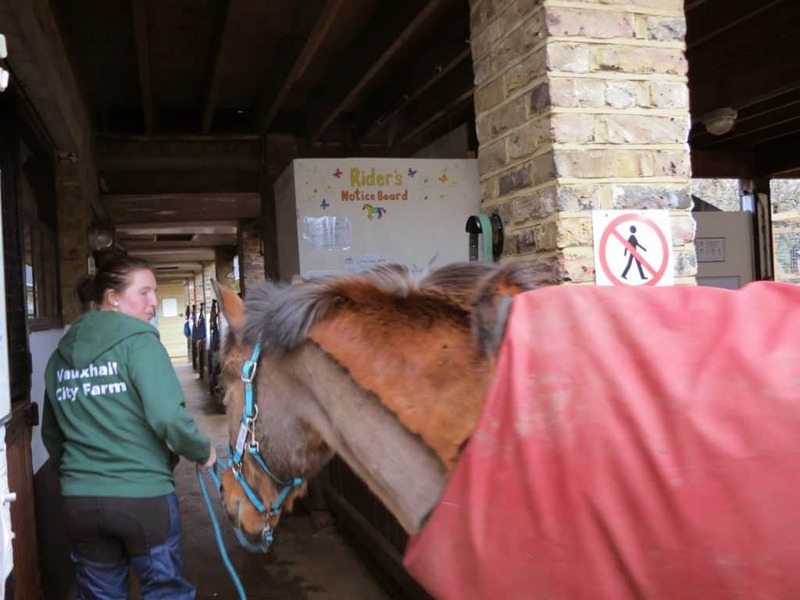 Their riding lessons are geared particularly to challenged and disadvantaged children who would not otherwise have the opportunity to participate. I took equestrian lessons for a while as a child myself and let me tell you, it is not a cheap sport! 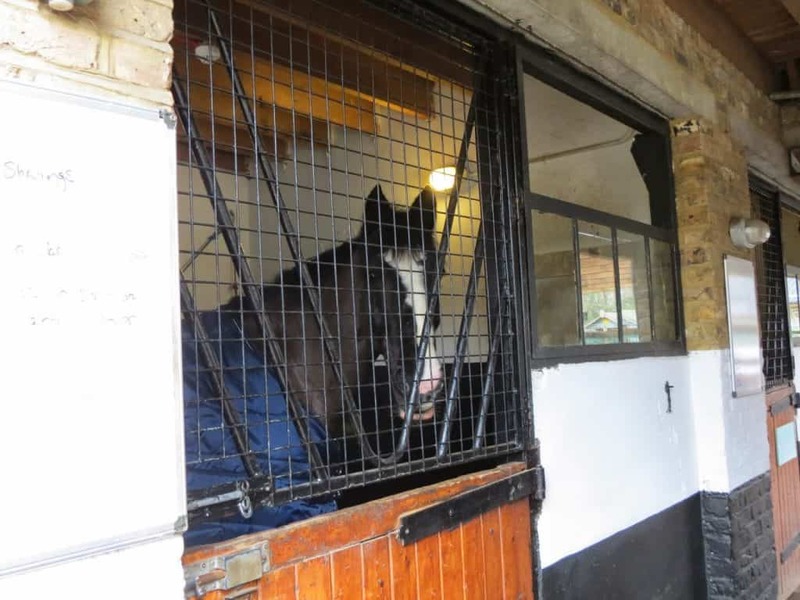 But it is a highly worthwhile one, and I’m really grateful to see efforts to expand it to urban dwellers who might not have had another chance to interact withe horses, arguably one of the most significant domesticated animals to the British in particular and Western civilization in general. Their efforts are paying off in serious ways – one of their former students was a disenfranchised teenager from an area of London run by gang members. He discovered riding through lessons on a donkey at the farm, and is now working and training in the dressage field with a goal of competing in the 2016 Olympics. 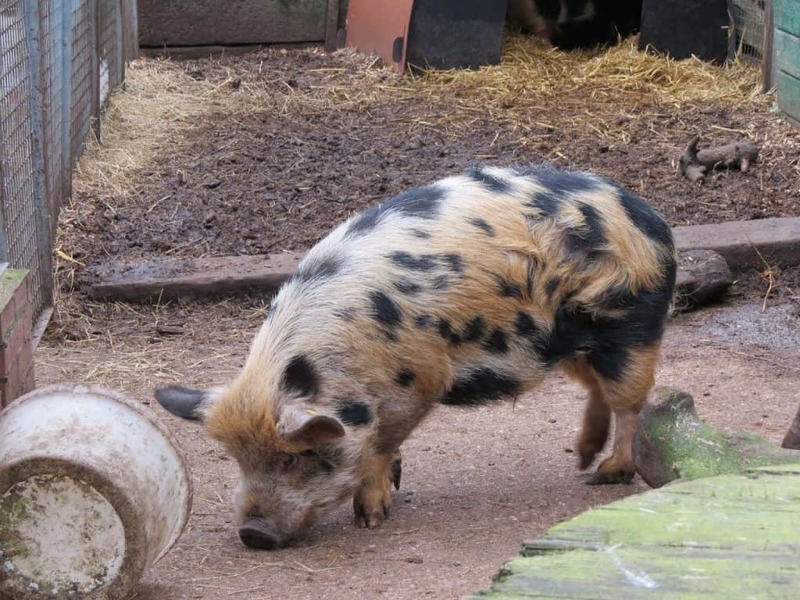 Vauxhall City Farm is still growing. They won a grant last year to build three new stables and they have additional expansion and development goals. There are substantial food and natural dye gardens, though admittedly they were not in a very photogenic state when I visited them in February. Volunteers and school groups are heavily involved in the educational and day-to-day running of the farm and today it remains what it began as, a local effort to reclaim land to raise food and livestock. A volunteer works in the sheep and goat pen. Time and time again I’m impressed to see how Londoners have stubbornly reclaimed unwanted land and turned it into farms. Every single site I’ve visited in this series so far seems to have started out as a slum, a ruin, or an urban wasteland that most people either couldn’t or wouldn’t deal with. And in each case they have been revitalized into productive spots using little more than volunteer work and determined action. 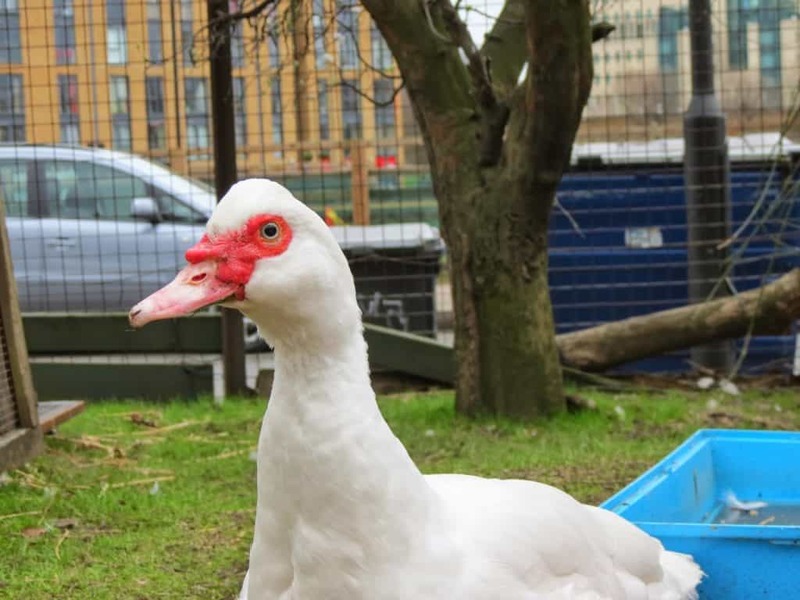 I didn't even know there were urban farms, let alone farms in London! It's really great. Keep going!